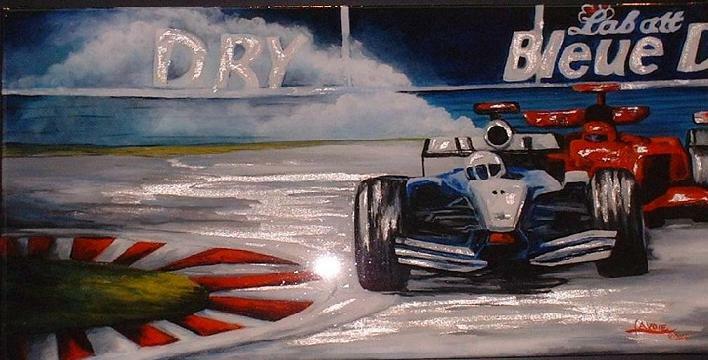 In this section, auto racing paintings, Andrea Lavoie's brush strokes convey the power and speed of Formula 1. The Legend of Gilles Villeneuve lives on through Andrea's artwork, in this renduring of the Circuit Gilles Villeneuve. Montréalers are pleased to see their F-1 race back this year. In this multi-media example of her talent you can feel the speed of a formula one automobile.